30 years, 5 months, 1 day old age. Sakshi Dhoni will turn 31 on 19 November, 2019. Only 6 months, 29 days, 12 hours, 16 minutes has left for her next birthday. Sakshi Dhoni has celebrated the total number of 30 birthdays till date. See the analysis by days count and bar graph. 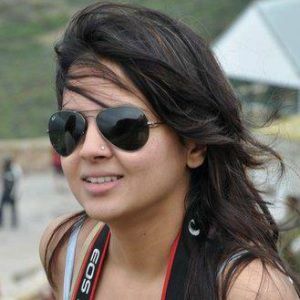 Sakshi Dhoni was born on 19-11-1988 in Guwahati in the state of Assam, India. She is an Indian Media Personality and the wife of a famous Indian cricketer Mahendra Singh Dhoni. Sakshi did her schooling from Dehradun Welham Girls and did her graduation from Aurangabad Institute of Hotel Management. After her graduation, she started working as a front office executive in the Taj Bengal's Kolkata. She did her primary education from Ranchi, Jawahar Vidya Mandir in the same school where M.S.Dhoni was her senior. 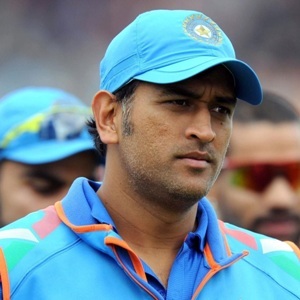 Dhoni and Sakshi families are known to each other since their childhood because Sakshi's father and Doni's father used to work as colleagues in the firm Mecon Limited. She met with Dhoni first time, during the test match against Pakistan in Kolkata Eden Garden. And the Indian team used to stay in the Taj Bengal's hotel where she was doing her internship. Sakhshi is also involved in social activities and she is running a foundation named as "Sakshi Rawat Foundation", which is formed to support the orphans. She was born to R K Singh and Sheila Singh. She has a brother named Akshay Singh and a sister named Abhilasha Bisht. She is married to famous cricket player Mahendra Singh Dhoni and the couple blessed with a daughter named Ziva Dhoni. She and Anushka Sharma studied in the same school in Guwahati. She is very fond of Cooking. She always carries an electrical cooker during the time when she goes along with MS Dhoni on his tours. Her actual name is Sakshi Singh Rawat. On 6 Feb 2015, she gave a birth to a baby girl named Ziva.